Please say it isn’t so. The lovable, friendly-looking University of Connecticut Husky mascot will go. Apparently first reported in the March 11 edition of the university’s student newspaper, The Daily Campus, and since reported by several other news organizations, the current Husky emblem is slated to be replaced by a more menacing, meaner looking Husky with slanted eyes. Amid the numerous extraneous surveys I have been sent as a UConn alumna and being hit up for money on an ongoing basis, my questionnaire seeking input about changing the mascot’s image evidently got lost in the mail. No – as it turns out, this is a non-inclusive initiative. In fact since the beans are said to have been spilled by a UConn athlete, the university has continued to keep the change under wraps. An official unveling is expected in April or May, according to an interview by The Daily Campus with the associate director of athletic communications – (www.dailycampus.com). Communications? Plans for this change which reportedly has been in the works for a year, were not openly communicated. The general student population was not included in the process, nor to my knowledge, was the large number of alumni that faithfully support the university and its various athletic teams. Instead, this change to a menacing looking Husky dog has the feel of the “New Coke” campaign that bombed backed in the 1980’s. Jonathan, the Husky dog, became a university emblem in the early 1930’s, after the the student newspaper conducted a poll seeking suggestions. A UConn archives article states the Husky dog was quite aptly chosen because winters on the Storrs campus can get as cold as those in Canada’s Yukon Territory. True. Bone chilling temperatures and blustering winds that sweep across the campus in the deep of winter are something to which I, or anyone who has tried to make their way to class on near sub-zero days in Storrs, can attest. 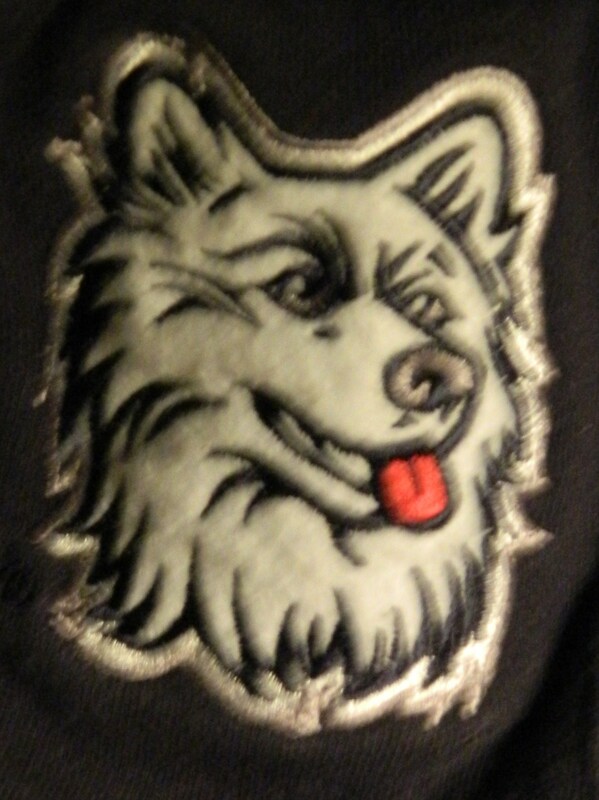 The current emblem is said to have been in use since 1994 but looks similar to the Husky that for years before, had represented the university. Although modifications to university emblems supposedly are not uncommon, this move to a mean faced mascot is a distinctive difference. Coming from a family of educators, several of whom have taught elementary school, for them this is an unwelcome and unwise change. Throughout the state schoolchildren idolize UConn sports stars and dream of someday wearing the blue and white uniforms to play for Connecticut’s flagship university. The kids see the mascot as friendly and approachable, a symbol of the university. Growing up my parents taught us that the measure of good manners is being able to put up with poor manners.In that same vein of taking the high road rather than getting down and dirty, wouldn’t it be better for UConn to put energy into beefing up the competitiveness of its teams while continuing to stand as a university that takes the high road by projecting a positive look for the Husky mascot. Despite the controversy that began to swirl after word got out about the impending change, and an online petition started to stem the tide, more than likely soon enough the UConn Co-op will be brimming with new logo athletic gear, my beloved friendly faced husky sweatshirts will become obsolete and the menacing Husky will be yet another change that, like it or not, one simply has to accept. I love my alma mater and will remain loyal to our teams. Nonetheless, let me go on record as saying the mean faced mascot is one pinheaded plan.